Congratulations to DeSoto High School’s newest All-State Choir Members — Brayla Cook (Sophomore) & Juliana Simonfalvi (Freshman)! 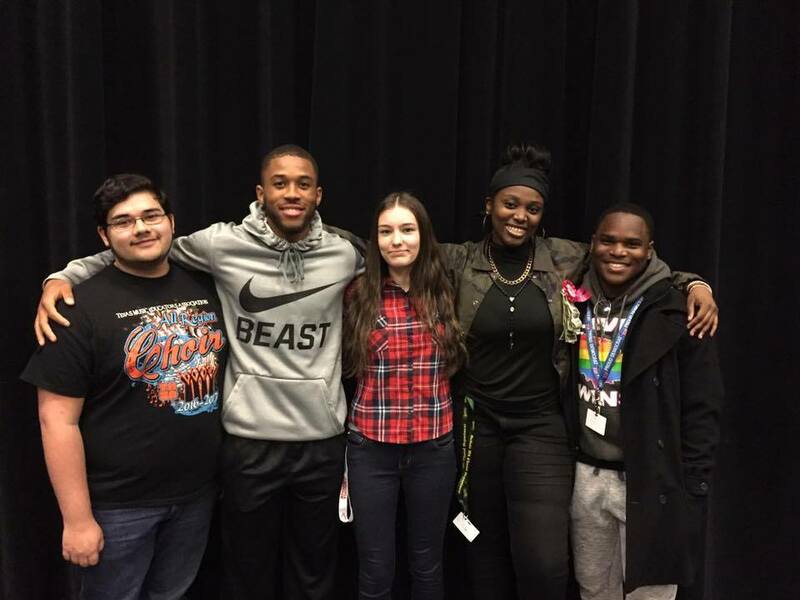 DESOTO—DeSoto High School added two All-State Choir Members — Brayla Cook (Junior) and Juliana Simonfalvi (Freshman) – after the January 7 competition in Waco! Brayla made the All-State Mixed Choir in Alto 1 (the top ensemble in Texas). Juliana made the All-State Treble Choir as a Soprano 1 (the top female ensemble in Texas). Juliana Simonfalvi’s mother, Rebecca, was All-State in band for DeSoto ISD in 1993! DHS has only had two All-State Choir members in the past; 1995 – Treylyn Merritt and 2014 – Marcus McGarity. DHS had five students total qualify for the Area event, and one of those students also qualified for the band Area event. Samuel Orta, qualified for Area in both band (flute) and choir (Tenor 1). Byron Hanspard, Jr. qualified for Area in choir (Bass 2) and Montavion McKinney qualified for Area in choir (Tenor 1). We are proud of all 45 singers from DHS who participated in the All-State process this year. The Texas Music Educator’s Association (TMEA) sponsors the Texas All-State audition process to promote students’ dedication to their musical knowledge and skill and to encourage TMEA member directors to support their students in this development. All-State is the highest honor a Texas music student can receive. Over 1,500 students are selected through a process that begins with over 95,000 students from around the state. All are vying for this honor to perform in one of 13 ensembles (bands, orchestras, and choirs). This competitive process begins throughout the state in auditions hosted by 28 TMEA Regions. First, individual musicians perform selected music for a panel of judges who rank each voice part. Then, from this ranking, a select group of musicians advances from their Region to compete against musicians from other Regions in seven TMEA Area competitions. The highest-ranking musicians judged at the TMEA Area competitions qualify to perform in a TMEA All-State music group. In preparation, these All-State students participate in three days of rehearsals directed by nationally recognized conductors. The annual state TMEA Clinic/Convention which will be February 8-11, 2017 in San Antonio, TX. Their performances before thousands of attendees bring this extraordinary event to a close.